A Journey To The 6th Smallest Country In The World – GO HERE. DO THIS. EAT THAT. 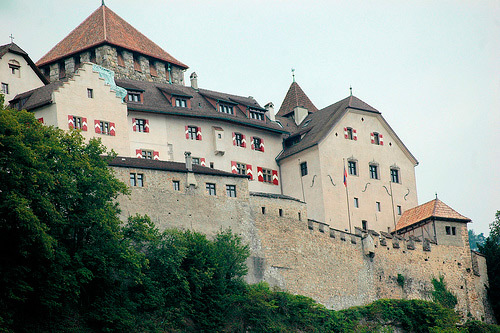 Today I want to talk about Liechtenstein. 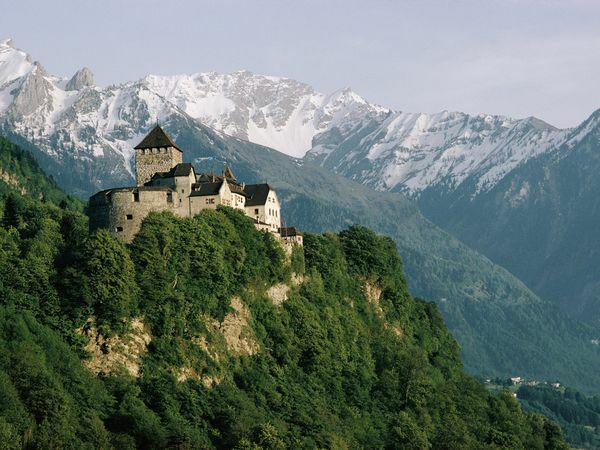 Liechtenstein is the 6th smallest country in the world, and yet it is somehow the RICHEST of the German speaking countries. Richer than Switzerland! And a whole heck of a lot richer than you and me. My road trip buddies and I (see Swiss post for more details) took a little side trip over to Liechtenstein because it was so close, and it seemed all the rage as far as the other tourists were concerned. And by “other tourists” I mean the two people that went there in the summer that one time in order to write an entry for Lonely Planet as opposed to our ill-timed February trip to a place located entirely in the Alps, with scarcely a skier among us. Well, we went anyway. For the adventure! The intrigue! The bragging rights! 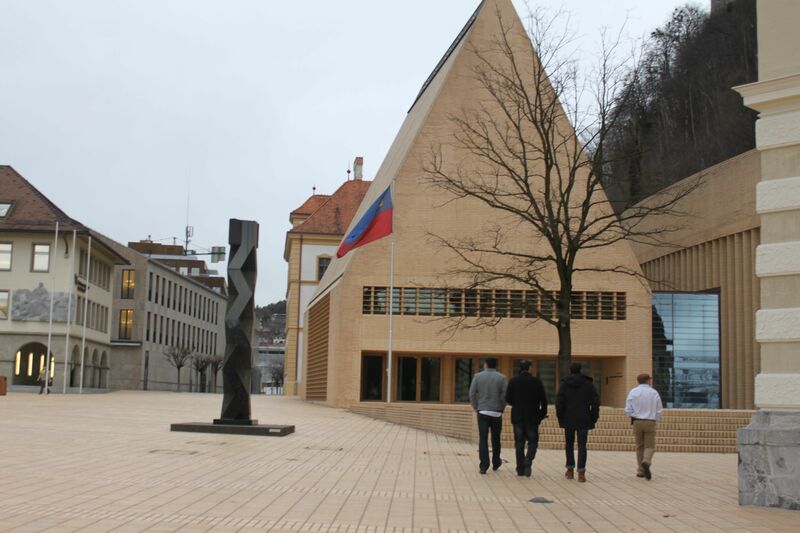 Now, the guidebooks will give you at least twenty two reasons to visit Liechtenstein but here the top three. 1. 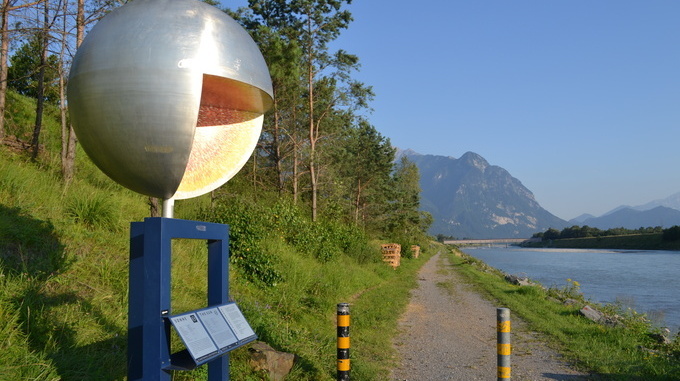 Go Hiking on the Planet Trail! Uhhh, looks super exciting, but no thanks. It’s February and we’re in the Alps. 2. Check out the Castle! Except the royal family lives there and you’re not allowed inside. Ever. Because if they let you in, then they’re going to have to let everyone in, and who has time to accommodate 11 people. 3. 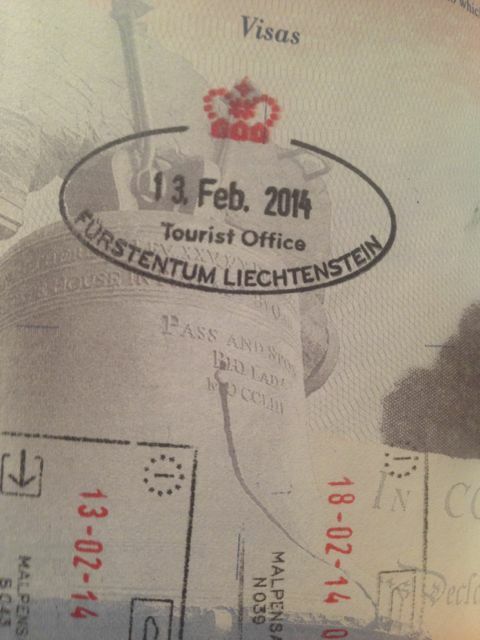 Head over to the Liechtenstein Center/Tourist Center to get your passport stamped! Finally, something that sounded fun! So we headed to the local public library tourist center and talked to a very very nice woman who seemed very happy to be talking to the only people she’s seen in days. She was so grateful we dropped by that she only charged us for three stamps and not five. Then again, neither her or her country need our silly America dollars. The Franc-en-shaft was back in full-effect. So, unless you’re really into collecting stamps in your passport you can go right ahead and skip this one. 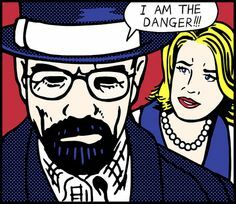 Is it bad that I just kept thinking of Ulrich von Liechtenstein the entire time I was reading this? there is nothing ever wrong with thinking about heath ledger in a suit of armor. Ok that was hysterical. The planet walk sounds cool?